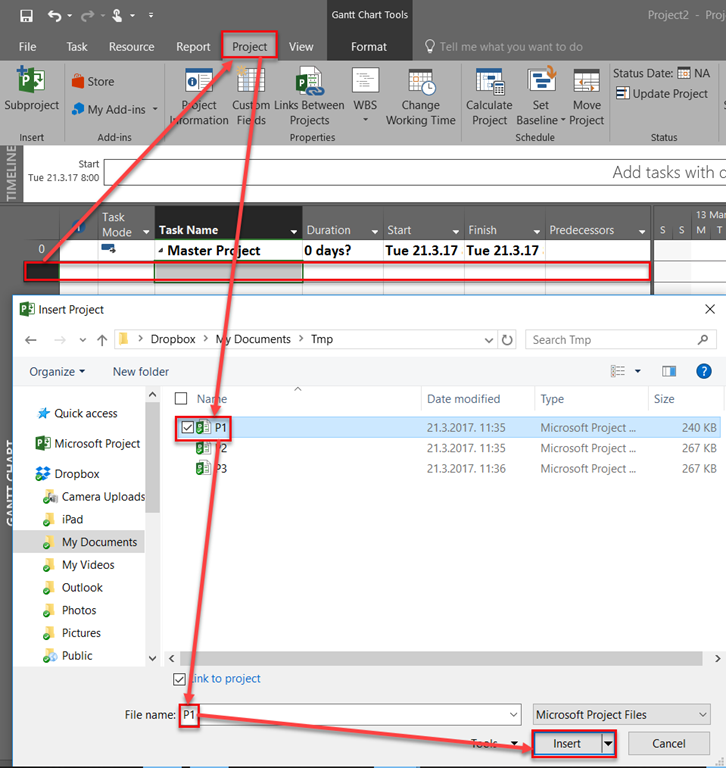 today I will show you one interesting field in MS PROJECT 2016, called Subproject File. As you can see, Project Field is showing Project name which we are using when saving it (P1, P2, P3), and Subproject File is showing complete path with Project name, so we can see where is the physical location of it. And it is very useful.